It is suitable for the rebuild of city lines. The voltage levels for polymer pin insulator typically from 6 to 36 KV. 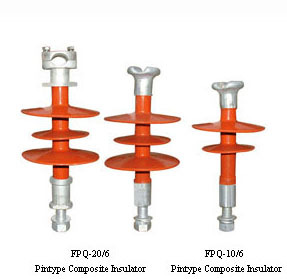 11kv and 33kv polymer pin insulators are normal types. Its top and bottom installed are the same as the corresponding size of porcelain insulator, so they can be interchangeable use. The type code is normally FPQ Type. Type: IEC61109, BS, ANSI standard type, Orient design, customer requirement and drawings.